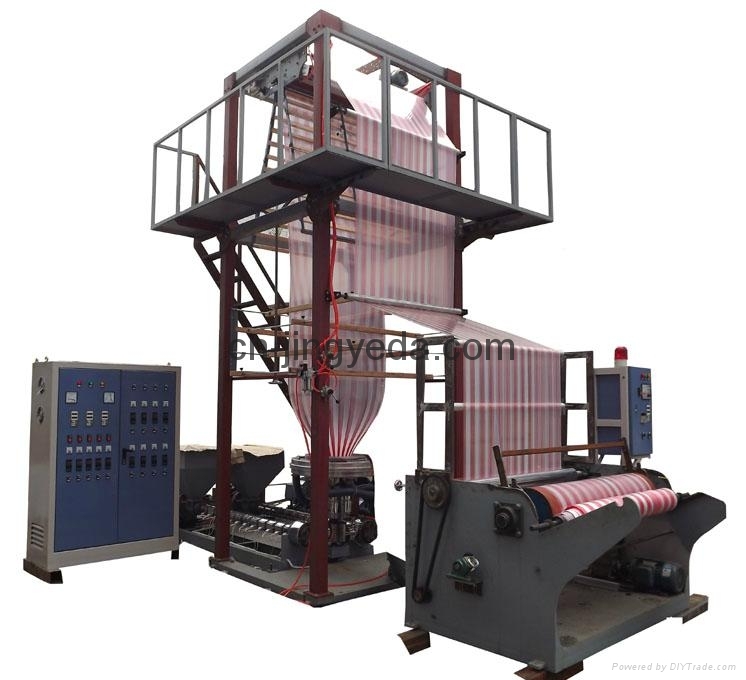 Color Stripe Film Co-Extruder is basically a 2-layer PE Film Co-extrusion machine. 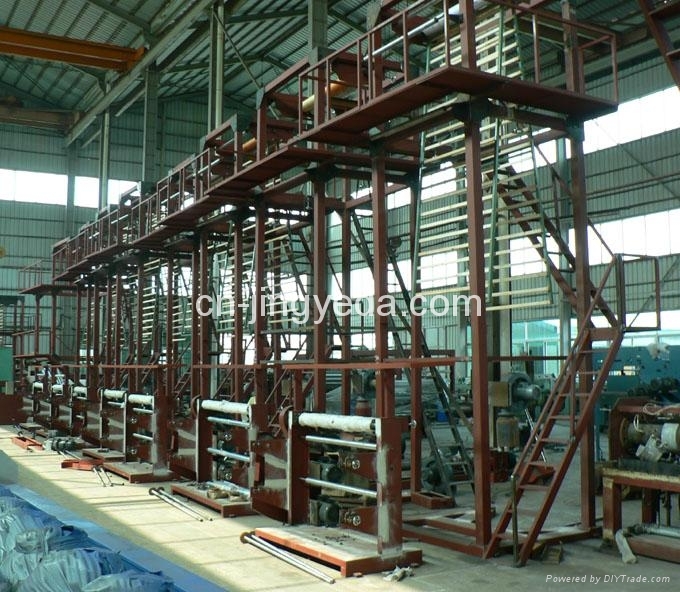 It is mainly to produce LDPE,HDPE and LLDPE co-extruded color stripe film. 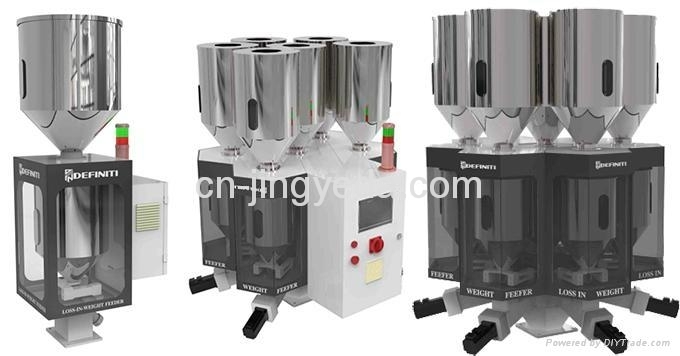 You may use 1 hopper with master batch of red color, yellow color, etc. 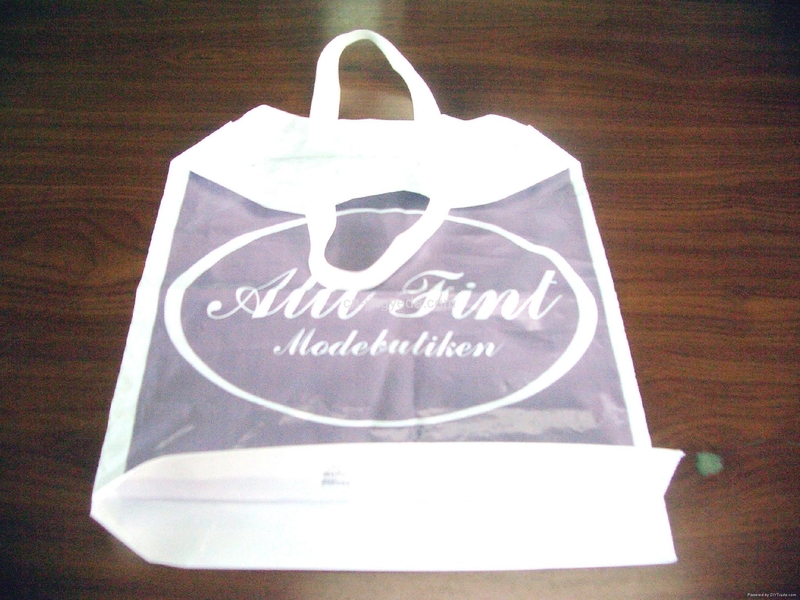 1.Double-layer co-extruded film is stiff and of top quality. And widely welcomed by global buyers. 3. 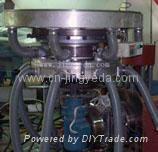 2-layer Rotational air ring with fully rotational die is demanded to insure top quality. 4. 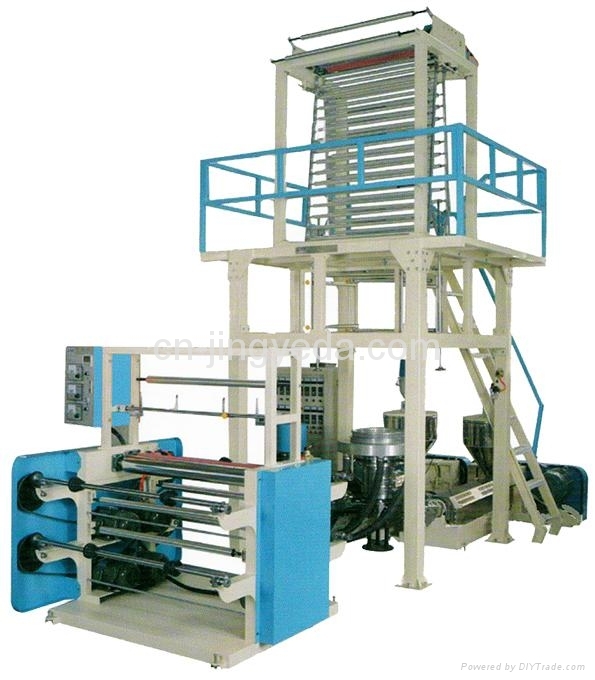 Corona treater is optional at request. 5. 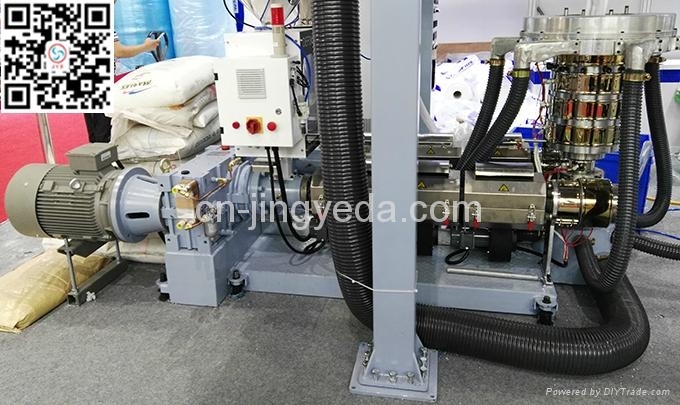 Optional items at request: Motor without belt, Iris hexagonal cage, Mick weight controller and fully rotational die and 2-layer air ring.